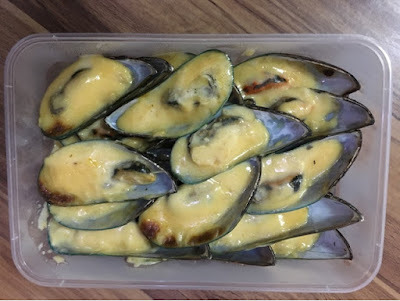 If you're located south of the metro and craving for mussels baked with garlic and cheese or wanting to serve one for an inuman session, yet don't have the time to cook, there's a cool food stall in BF Homes, Parañaque which serves this dish, Tahong Island. 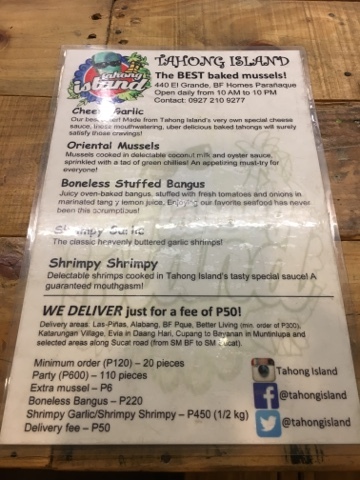 Aside from tahong, they also serve shrimp and bangus. Take out orders are served in a microwable container which can be reheated. They also offer delivery services for Parañaque and Las Piñas. For other areas, this may be possible through a third party service they have recently partnered with, Lalamove. 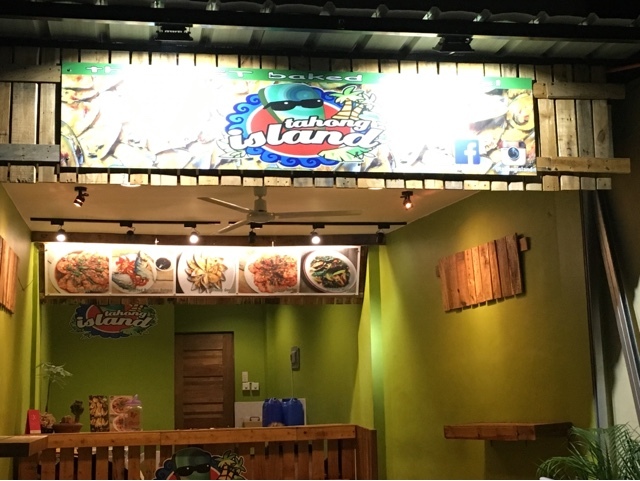 Tahong Island is located in 440 El Grande Avenue, BF Homes, Parañaque City.